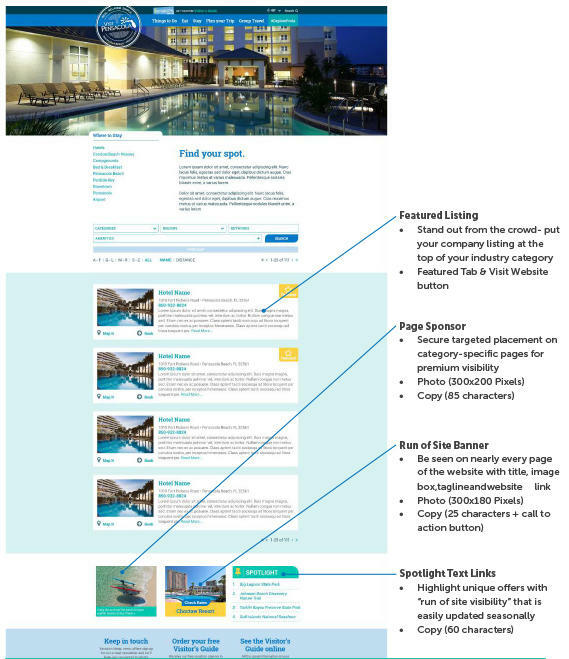 Looking for additional ways to reach current visitors and futures visitors? 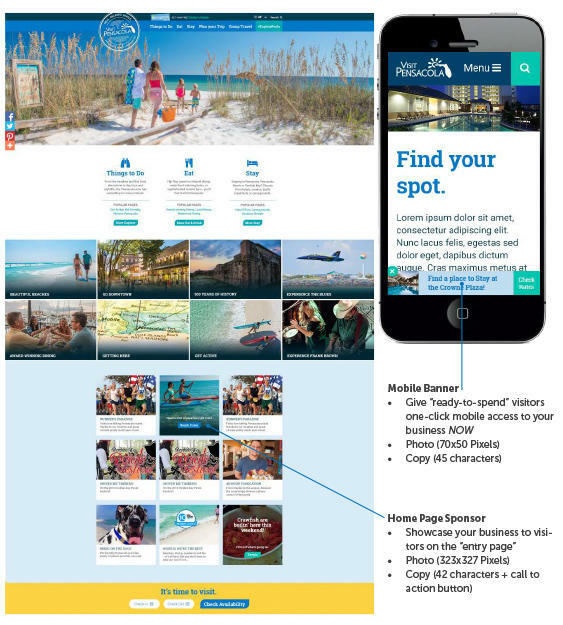 VisitPensacola.com is the leading destination marketing website for the Pensacola Bay Area. The website receives 1.4 million users annually and those users consume 4.7 million pages on our website. These users are specifically looking for lodging and things to do. If you would like to reach these users, please email Shawn Brown for more information.